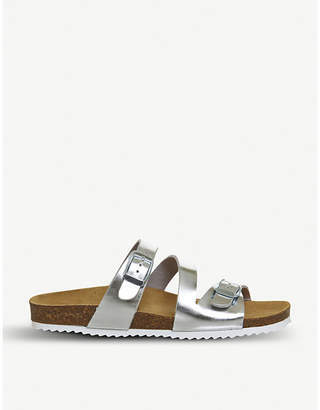 Sandals by Office, Who else is feeling that summer state of mind?, Slip-on style, Strappy design, Open toe, Show off your pedicure, Woven sole. After starting out as a concession displaying its products on old office furniture hence the name footwear brand Office has become a British high-street favorite. Look to its loafers, ankle boots and sandals, all designed in-house, for an individual look.